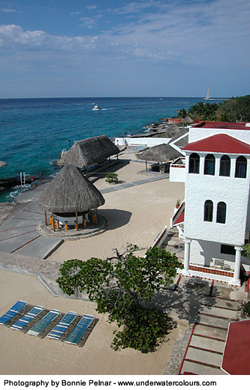 Scuba Club Cozumel is an all-inclusive dive resort located on the waterfront just one mile south of downtown Cozumel. 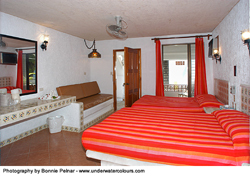 Step into this hacienda style resort which offers 55 rooms decorated with a Spanish flair, two restaurants with bar, swimming pool, private pier, and their own fleet of eight dive boats. 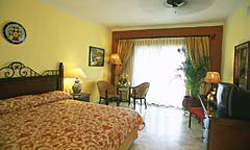 You can completely relax in your private room, because there are no TVs or telephones in them to interrupt your peace. If you do find yourself craving a little interruption, make your way to the bar and you will be reunited with TV displaying the shows that you miss the most, and you may even catch a glimpse of that day's videotaped dives. 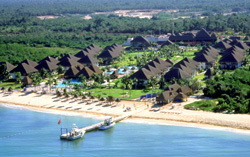 You will not have to wander far to find a tasty meal when you stay at this resort. 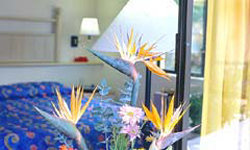 Meals are included in your dive package and they are served in one of two restaurants located within the resort. Downstairs is an open-air restaurant great for breakfast and lunch. Upstairs you will find the main air-conditioned dining room, which has a spectacular view of the ocean where you can catch a beautiful sunset. There is always a wide variety to choose from at the buffet style service; you will dine on entrees made of red meat, poultry and seafood. Should have a special diet or need for vegetarian meals, please give advance notice. 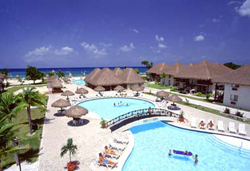 Allegro Cozumel is a 4-star all-inclusive resort located on the beautiful San Francisco Beach of Cozumel Island. This all-inclusive resort is located just five minutes away from the legendary Palancar Reef, and the notorious "Devil's Throat." 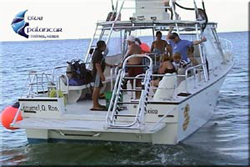 Allegro Cozumel's dive shop and boat operator (Dive Planacar), offers up to five dives a day, as well as night diving on Monday, Wednesday and Friday. Cozumel's reef system is the world's second largest and features swim-through tunnels, pinnacles, and an abundance of tropical fish that can all be experienced as you effortlessly drift along on your dive. When you are not diving, enjoy one of the other daily activities or sports available at Allegro Cozumel (volleyball, beach soccer, ping-pong, darts, billiard, basketball, water polo, aqua aerobics, introduction to SCUBA in the pool). 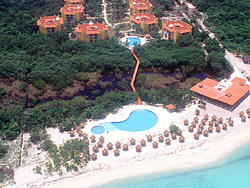 Grand Cozumel is a 5-star all-inclusive resort located on the beautiful San Francisco Beach of Cozumel Island. This all-inclusive resort is located just five minutes away from the legendary Palancar Reef, and the notorious "Devil's Throat." 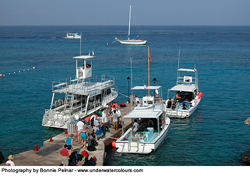 Grand Cozumel's dive shop and boat operator (Dive Planacar), offers up to five dives a day, as well as night diving on Monday, Wednesday and Friday. Cozumel's reef system is the world's second largest and features swim-through tunnels, pinnacles, and an abundance of tropical fish that can all be experienced as you effortlessly drift along on your dive. When you are not diving, enjoy one of the other daily activities or sports available at Grand Cozumel (volleyball, beach soccer, ping-pong, darts, billiard, basketball, water polo, aqua aerobics, introduction to SCUBA in the pool). Looking for a more exclusive getaway? 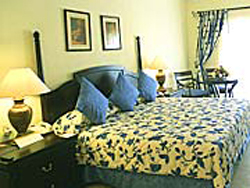 Then look no further than the Grand Cozumel's Royal Club, a hotel within a hotel, featuring the all-inclusive options along with upgraded rooms and suites (Royal Club Jr. Suite, Royal Club Luxury, Royal Club Presidential Suite (2 bedrooms), complete with hydro-massage bathtubs, living room, DVD player, data port, personalized concierge and room service.